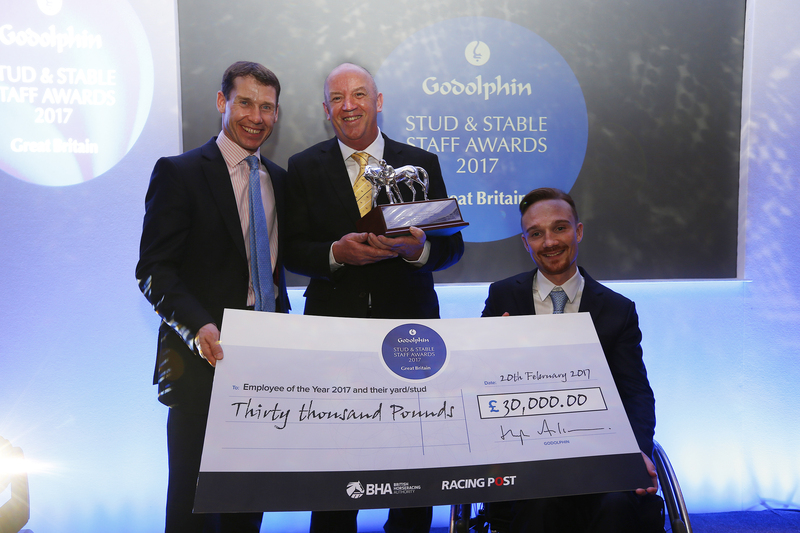 The shortlisted nominees have today been announced ahead of the 2018 Godolphin Stud and Stable Staff Awards. The panel of 12 judges have overseen 256 applications and narrowed them down to just ten finalists in each of the six categories. The next stage of judging will now begin with judges speaking directly to all candidates who have made it onto the shortlist. The judges will consider those conversations alongside the written nominations before narrowing the candidates down to just three finalists per category. The final stage of judging will take place in London on the day of the awards ceremony, Monday, 19 February, 2018. Finalists will be interviewed face-to-face by the judges who will then decide the winners and runners-up for each category. The results will be revealed later that evening at the awards ceremony at the Jumeirah Carlton Towers hotel in Knightsbridge by ITV Racing’s Ed Chamberlin. “This is always a very difficult but humbling task. Year on year we are faced with countless examples of dedication and hard work, by the stud and stable staff who underpin the racing and breeding industries. “On behalf of the judging panel, I would like to thank everyone who took the time to nominate, and send my commiserations to those who were not successful in making it to the next stage of the process.